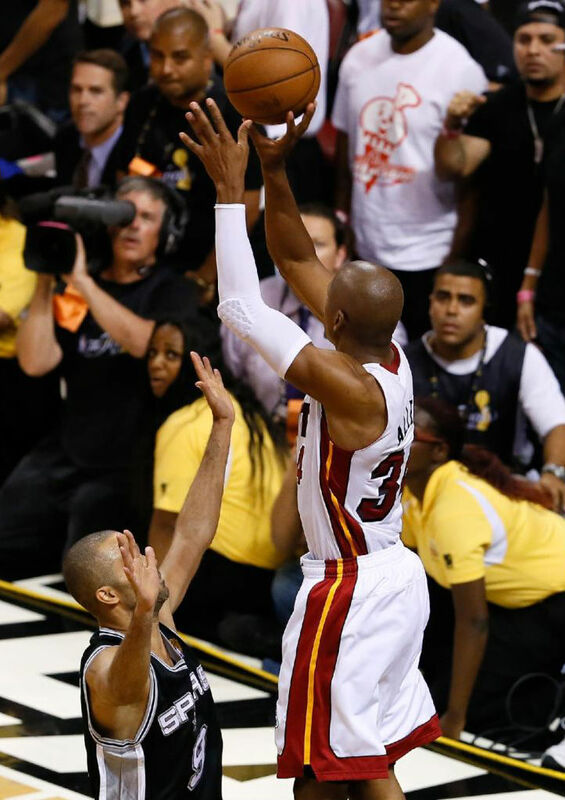 Has anybody in NBA history made more clutch three-pointers than Ray Allen? 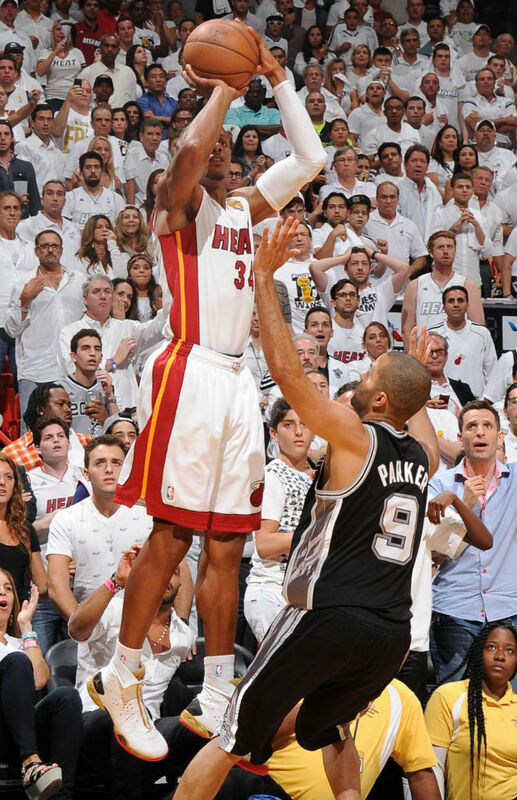 Has anybody in NBA history made more clutch three-pointers than Ray Allen? Kawhi Leonard's posterization of Mike Miller was a special sight. As was Mike's 4th quarter three while missing a shoe. 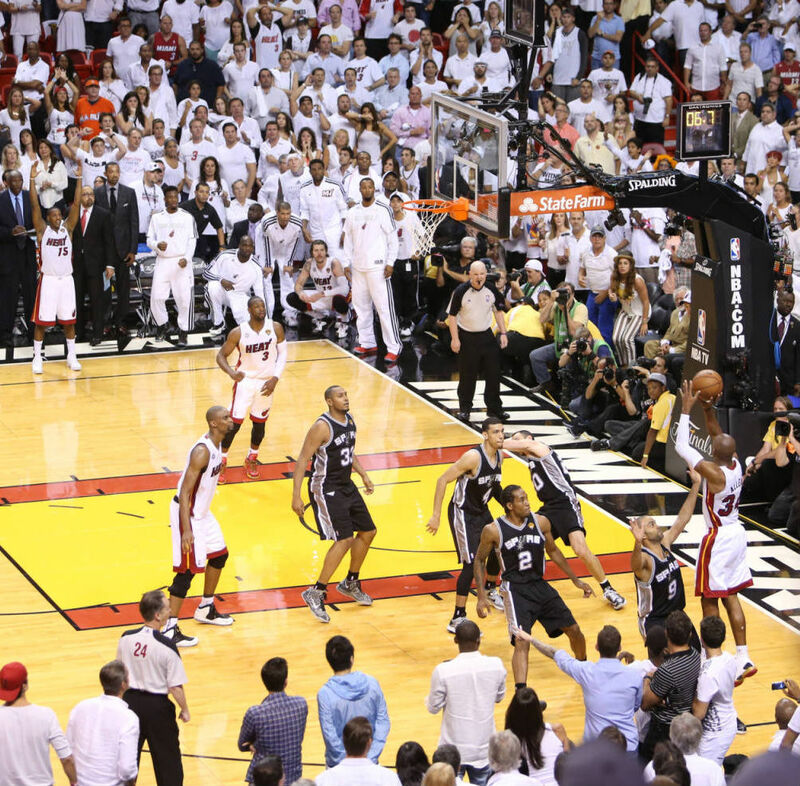 However, when we speak about Game 6 of the 2013 NBA Finals in the future, the defining play will be Ray Allen's equalizer that sent the game in to overtime. Trailing by three points with a little more than 16 seconds to play, the Heat freed LeBron James up for a game-tying attempt, which caught all iron. Chris Bosh aggressively rebounded the ball, passed to a backpedaling Ray Allen, who used his signature form to even things up at 95. 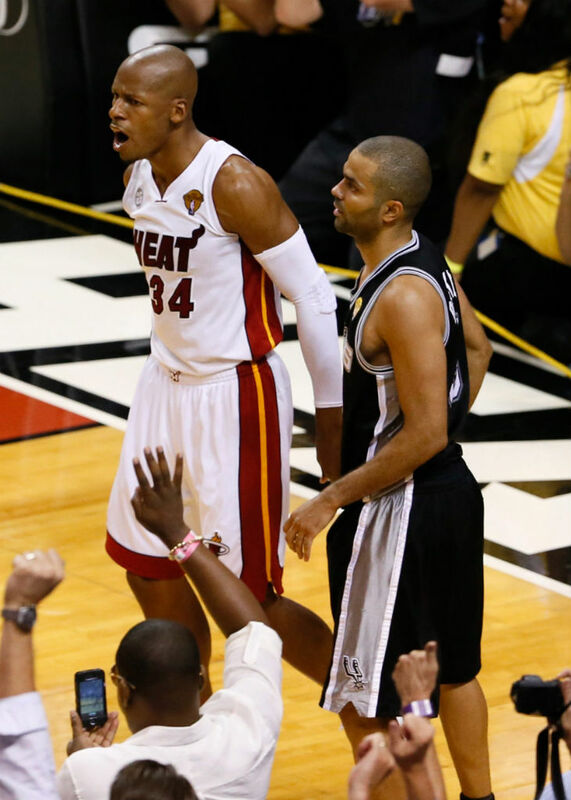 The Heat went on to win 103-100 in overtime, forcing a decisive Game 7 on Thursday. 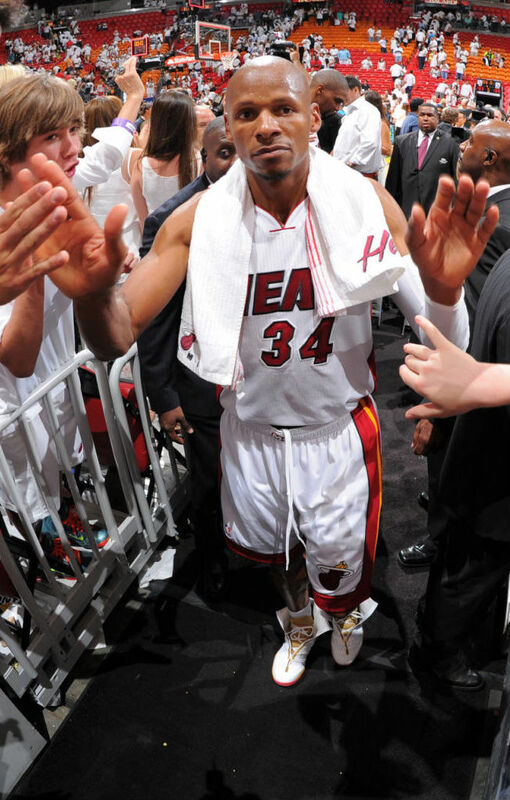 On Ray's feet for the big shot — one of his four Finals Air Jordan XX8 PE options. This pair is white-based with a black carbon fiber counter, metallic gold on the inner bootie and midsole and a red outsole. Watch Ray's game-tying three in the video above and read on for some photos from Game 6.